Romance is in the air for 365 days a year in Big Bear. With such a desirable climate and a beautiful natural landscape, there’s little wonder why everyone falls in love with the area. 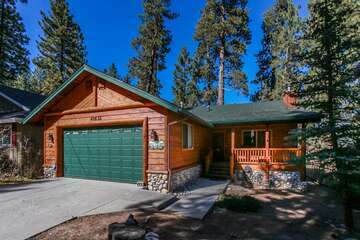 If you’ve already fallen for someone, Big Bear is the perfect location for a honeymoon vacation after the wedding of your dreams. 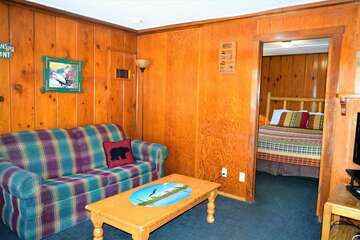 Stay in one of our wonderful log cabins on Big Bear Lake, offering the best combination of natural views and amenities that you’ll find. Visit one of these restaurants – or all of them – during your honeymoon getaway in Big Bear. This family restaurant is a relatively new addition to the Big Bear dining scene. Their menu offerings range from seafood like coriander-crusted salmon to baby back ribs. There’s an eclectic mix of Italian, seafood and Greek food on the menu – all sure to satisfy. Many have raved about the seafood spaghetti, or the volcano chicken served with a hearty side of homemade mashed potatoes and veggies. This is fine dining on Big Bear Lake. If it’s not the ONLY fine dining on the lake – like their website claims – then it’s certainly the best. The Pines offers a breathtaking view of Big Bear Lake from its new garden patio area. 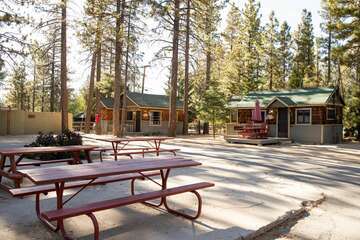 You’ll be shielded from the summer sun, while being able to enjoy a delicious meal under the looming landscape of the San Bernardino Mountains. The kitchen serves a varied menu, including Black Angus beef, Midwestern pork, poultry, fish, seafood, and more. Pair your meal with a glass of wine from The Pines wonderfully stocked cellar. There’s an unmistakable French vibe at Madlon’s Restaurant. Chefs Robert and Chelsie Orr are professionally trained from French culinary schools. The décor and style of Madlon’s fits the French food that dominates the menu. Check out their brunch menu to start your honeymoon day off right. Enjoy the classic French breakfast, which includes a croissant with jam, boiled egg, cup of berries, and coffee. Feel free to bring your own bottle of champagne, and you’ll only have to pay for the cork fee. Madlon’s isn’t the pricy lunch affair that you may think it is after glancing at their menu; most meals fall around $10 and have very fair serving sizes.